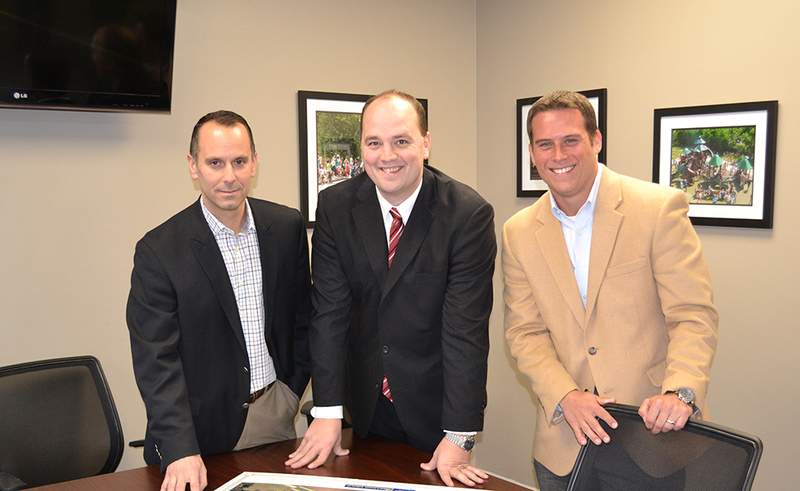 After being sworn-in on Dec. 22, Mayor Scott Fadness begins 2015 acclimating to his new role as the first mayor of Fishers. Current in Fishers sat down with Fadness to find out more about the man in the mayor’s office. You’ve said that you like governing, not politics. What other leaders have captured your admiration and why? I am a big fan of Mitch Daniels. He was the type of guy that cared about good governance, and I respect that a great deal. What plans do you have to get residents more involved with their community government? This is almost priority No. 1. In broad terms, we (administration) call it community engagement. Our team believes that even community events offer an element of community engagement. We want to get residents out of their cul de sacs and get them involved. We want them to start new traditions by coming to events and enjoying the parks system. My role as mayor is to be the face and voice of the government and its policies and to engage residents. We are committed to getting out of city hall to reach residents, whether that’s by using newspaper, TV or social media—that’s what we’re figuring out. Ultimately, our community won’t succeed without an engaged citizenry. What is one useful piece of criticism you received as town manager that you’ll use as mayor? I think that somebody once told me that I need to spend more time explaining the why before the what, which was profound for me. I need to take the time to explain to residents why we’re doing something before we do it. Going forward, what I would hope to see with the mayor’s capability is to have a dialog with the community to explain why we’re doing what we’re doing. What are you most looking forward to doing as the mayor of Fishers? I’m a local government geek. Anyone around here will tell you that! I’m fascinated by all aspects of what goes on here on a daily basis. I get up every morning excited about what I’m doing for the day. I like the pace and variety of the work, and as mayor, I look forward to expanding that further with more public engagement opportunities. That’s exciting to me. As time has gone by, has it gotten easier to be a public figure? Yes. I don’t know that I’ll ever be overly comfortable with being on covers of publications, but I do like engaging with residents. During the campaign, I really enjoyed going into living rooms and listening to issues. I plan to find more opportunities to get in front of residents. To what do you attribute your success? Do you have a life philosophy? I take my work extremely seriously, but I don’t take myself very seriously. How will you manage the stress of the new office combined with the stress of new fatherhood? You just roll with it. It’s life. I don’t get very stressed out, for some reason. You just do the best you can, and that’s got to be good enough. My son and my family are more important than any job I’ll ever hold. This political career and the title are temporary, but my family is not, so they will always come first. But they also know that I need to be engaged at work to be happy, because it’s what drives me. Are you a New Year’s resolution maker or breaker? Not either—it’s just another day to me. You won’t see me taking on a vegan diet. Favorite past-time: I have a great group of friends. My wife and I love to entertain. Watches: HBO cable shows, including Homeland and Newsroom. Drinks: Diet Coke, hands down. I’m never out. Vacations: St. John (U.S. Virgin Islands). It’s where my wife and I took our honeymoon, and we try to go once a year. Drives: I have 2009 Jeep with 100,000 miles on it, but it is my favorite car. Siblings: One sister in Sioux Falls, South Dakota. She’s a nurse.